Loving Every Little Thing | For the Joy of Life. Thank you Carter's for sponsoring this post. All thoughts and opinions are mine alone. I remember every minute of my pregnancy with Oaklyn. 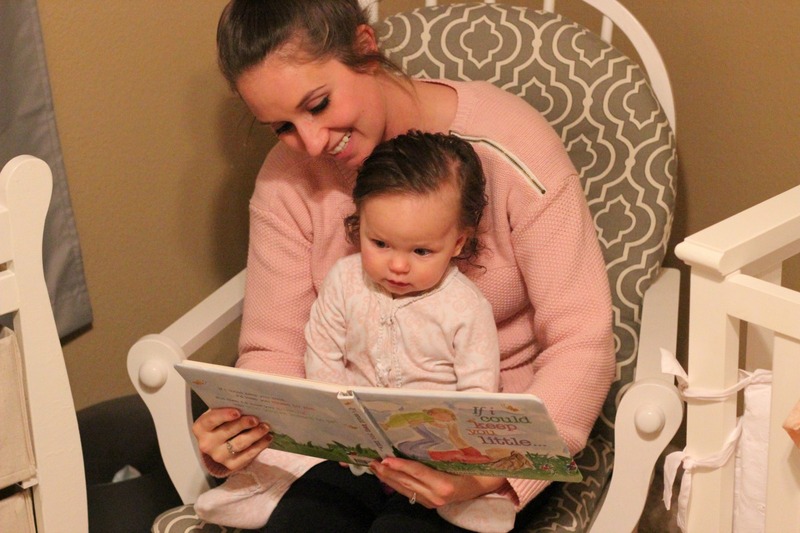 I remember the restless leg syndrome, the first kick, decorating the nursery, buying her first dress, every ultrasound, the heartburn... ohhh the heartburn! I also remember all the nights I couldn't fall asleep because of the anxious anticipation of her arrival. No one prepares you for what's to come once the bump turns into a bundle of joy. No one can prepare you for the new forms of emotional and physical exhaustion that come from parenting. The thought of that overwhelmed me and consumed me. The day I had Oaklyn, a wave of fear had swept over my entire being and suddenly I felt like the captain of a sinking ship. To be honest, the whole first year felt that way for me. I am so glad I took so many pictures of her, otherwise the whole year would forever remain as a cloudy blur to me. 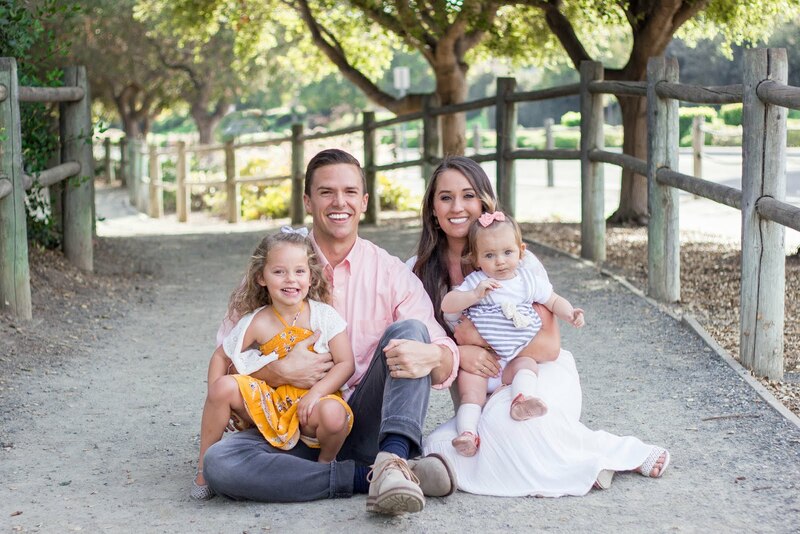 When I found out I was pregnant with Cambria, I immediately knew that I wanted to do everything possible to enjoy the first year instead of jumping aboard that sinking ship again... There are so many amazing firsts that happen in the first year. From taking a bath to eating solid foods, and rolling over to pulling up onto furniture, every day is an adventure. I wanted so badly to be present during Cambria's first year and I desperately wanted to love every moment. I wanted to love the way she smelled after a bath and snuggle with her in a soft blankie. 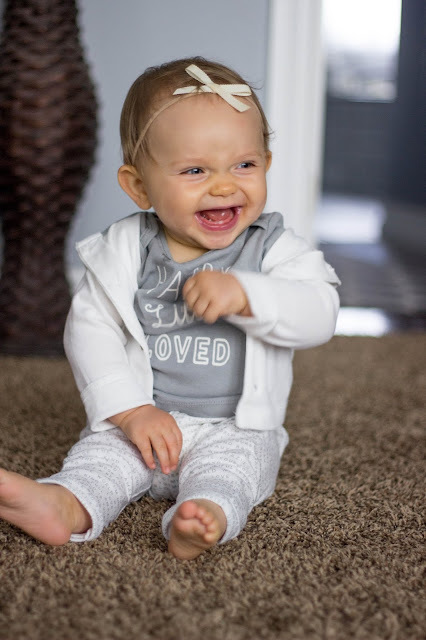 I wanted to enjoy the newborn sneezes and feel joy at the first belly laugh. More than anything, I just wanted to remember that it all goes by so incredibly fast so every moment is worth cherishing. So many people told me that same thing when I had Oaklyn, but it took me experiencing it to understand. When I started going through all the old clothes we would be passing on to Cambria, I quickly discovered we needed A LOT more of the basics. 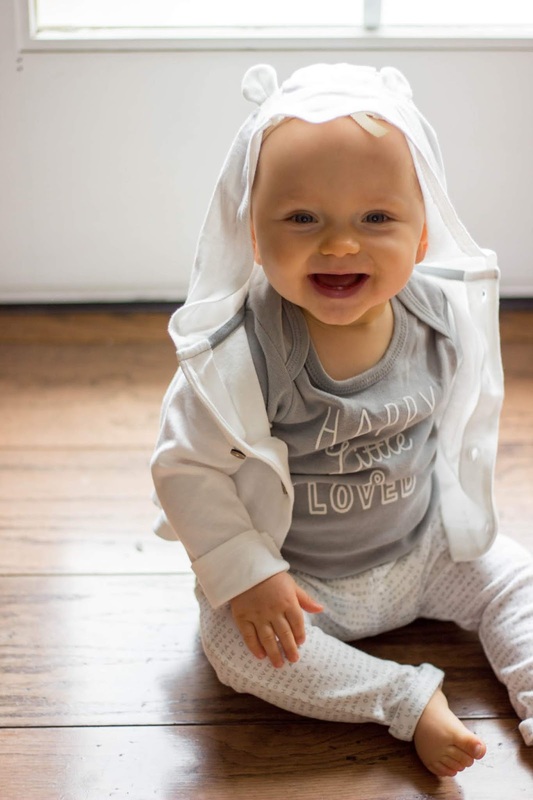 All of the white onesies and neutral colored pants of Oaklyn's were clearly used the most. 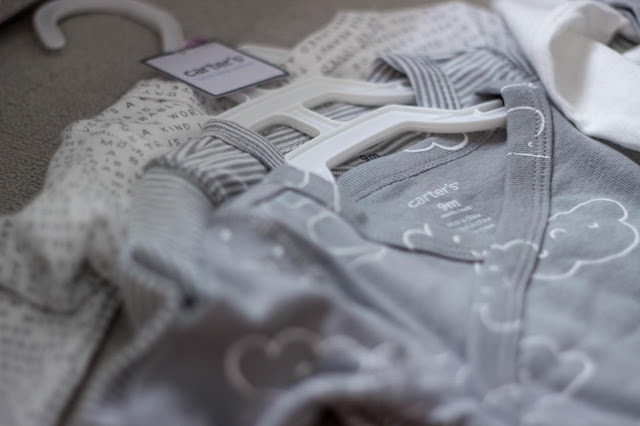 The fluffy dresses and cute rompers were always fun, but I knew immediately a trip to Carter's was in order to grab some darling pieces from the Little Baby Basics Collection. 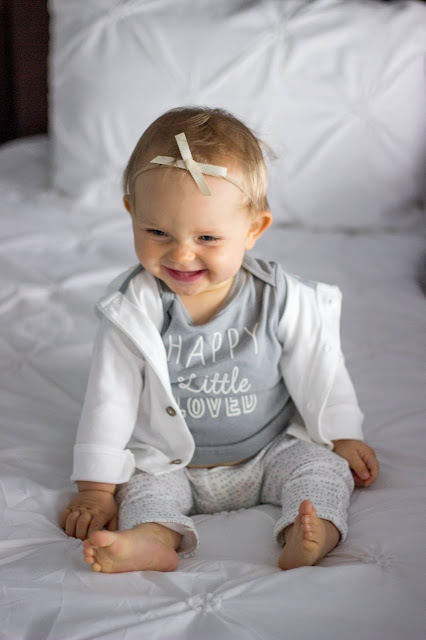 Carter's makes cute and comfy pieces for newborns and babies from sizes preemie to 24 months! I've heard form several different people that Carter's is one of the only places that actually carries preemie sized clothing too! I learned pretty quickly with Oaklyn that quality clothing is very necessary. It'll be used a ton and you want your baby to feel comfortable in it. 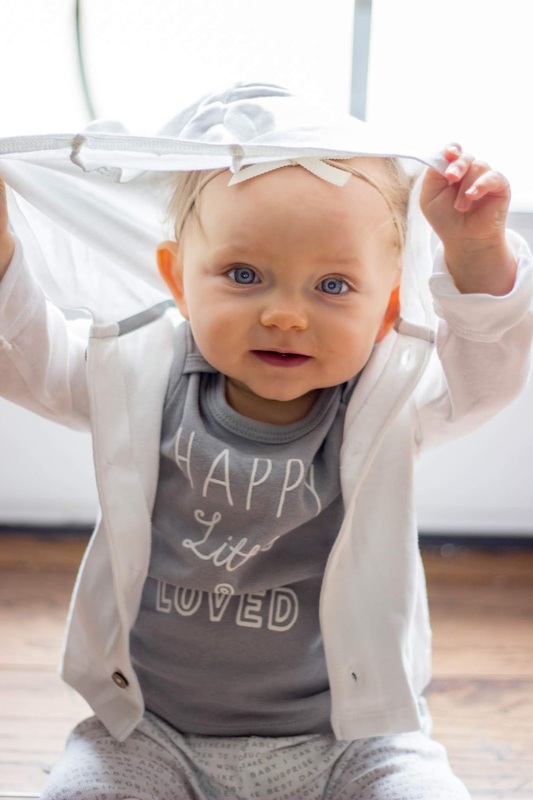 Clothing from the Little Baby Basics line is soft, hold up during all of baby's adventures, and the prices are just right. 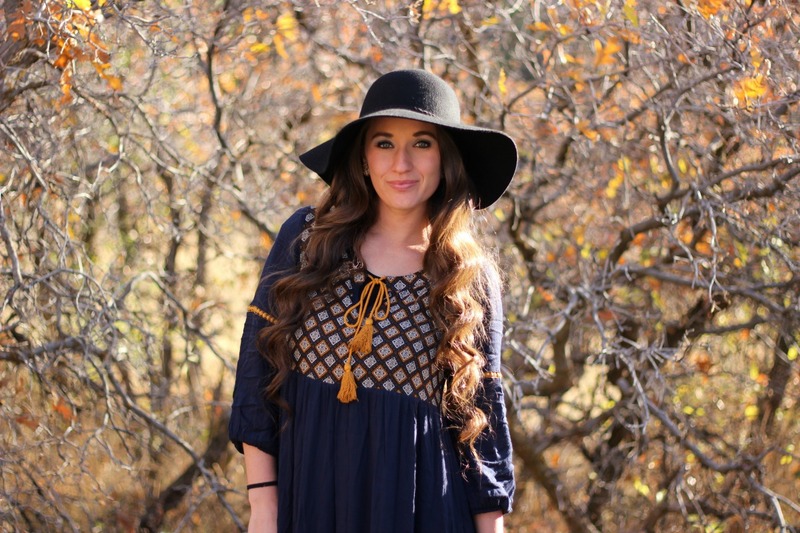 When it comes to the basics, here are my favorites! First up is the bodysuit! Otherwise known as the onesie. Or, basically all babies wear in the first year, ha. It’s the ultimate basic for wearing by itself or layering under other outfits. They have expandable shoulders and snaps made to last. I also really love the easy outfit sets. 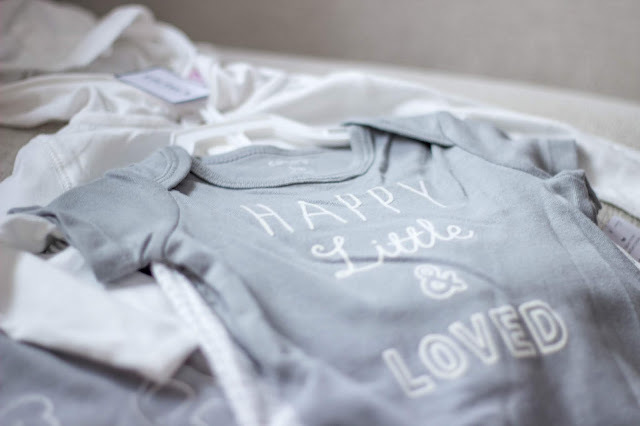 It helps build baby's wardrobe with different pieces that all match! The tees also have expandable shoulders and the pants have a soft elastic waist. And lastly, I love all the bundles! They make it so easy to give shower gifts, and for mom to buy several pieces at once. 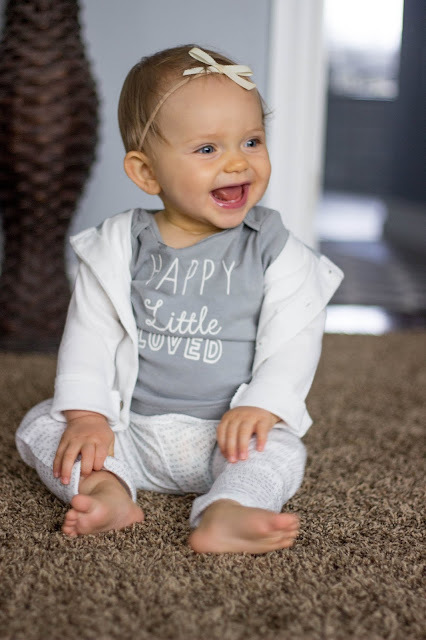 You really can't go wrong with this line, so make sure to stop in to your nearest Carter's asap or check out the selection online! You can even get 20% off $40+ now through June 30th with code CART4342 online or 066944 in store!